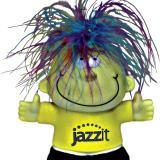 * Remember that Jazzit Fundamental updates are cumulative! Updating to this release will include all features and functionality from prior releases, together with any corrections made to the templates. Welcome to the February 28, 2017 Jazzit Fundamentals release notes. The modules listed in the link below will be dated February 28, 2017 in your Resource Centre JZUPDATE document when updating to this release. 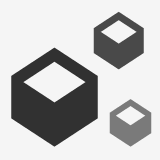 Welcome to the January 16, 2017 Jazzit Fundamentals build release notes. The modules listed in the link below will reflect the date of January 16, 2017 in the JZUPDATE document in your KLIB when installing and updating to the latest release. If you plan to update your KLIB/FRMLIB using RC Update control template please make sure you are on CASEWARE WORKING PAPERS 2016 format. If you are not on the latest version of CASEWARE WORKING PAPERS, please upgrade before downloading and installing the latest Jazzit Fundamentals update. If you would prefer not to update to CASEWARE WORKING PAPERS 2016 at this time, the last CW2015 (November 25 2016) Jazzit Fundamentals update is available only via a snackbar download found under the "Template Revisions" section of your respective snackbar. We have spent the last few weeks adding great new features and functionality to the templates, as well as correcting a few issues that were reported since the last update. The modules listed in the link below will reflect the date of November 25, 2016 in the JZUPDATE document in your KLIB when installing and updating to the latest release.